Diatonic, in G major, for Tamino to play the flute solos in DIE ZAUBERFLöTE, which I did. Made of cane, painted in tempera. 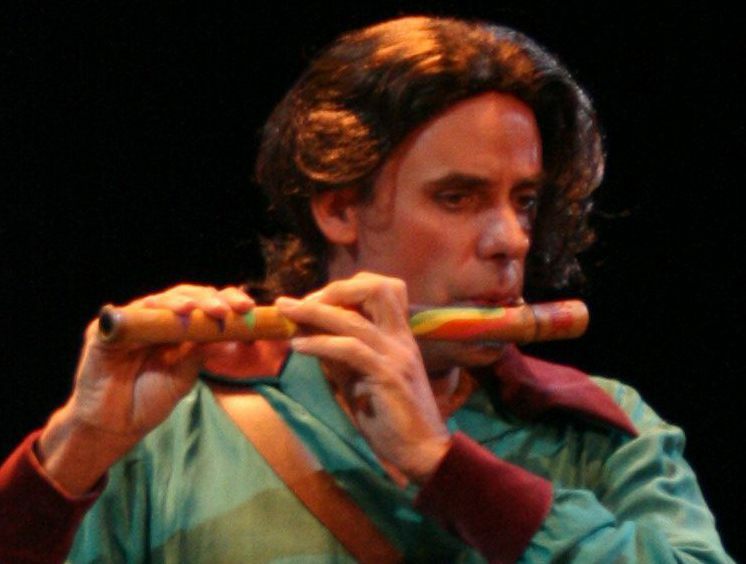 From the Harrisburg Opera production of THE MAGIC FLUTE, 2007. The kanji on the end means "wisdom".